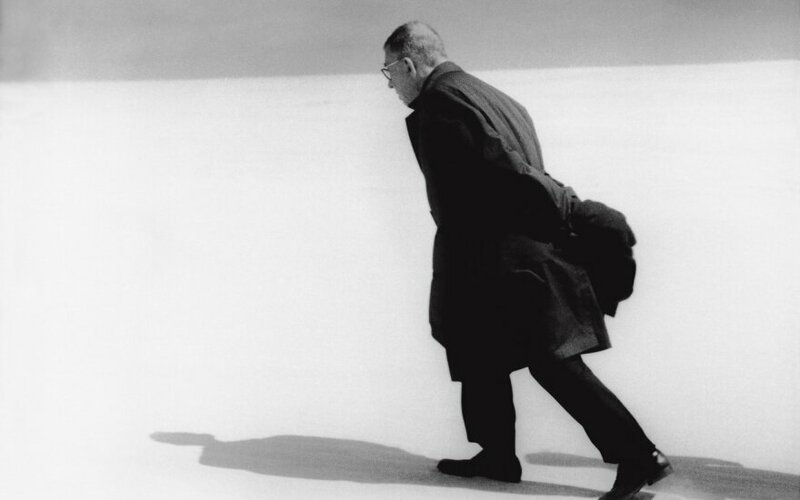 A sculpture was on Thursday unveiled in Lithuania's western resort of Nida to commemorate French philosopher Jean-Paul Sartre's visit to the Curonian Spit resort in 1965. Sculptor Klaudijus Pūdymas made the bronze sculpture based on a photograph by Lithuanian photographer Antanas Sutkus. 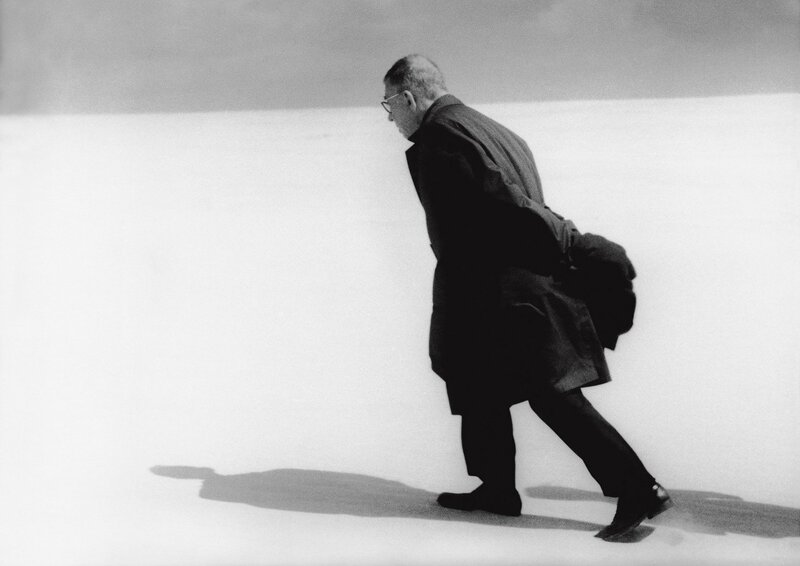 It shows the philosopher walking on sand dunes, with Sartre's two phrases he said in Nida written in Lithuanian and French nearby – "I feel like standing at the gate of paradise" and "Clouds are under my feet for the first time". The unveiling ceremony was attended by Neringa Mayor Darius Jasaitis, French Ambassador to Lithuania Phillippe Jeantaud, Ausra Fesser, head of the Curonian Spit National Park, members of the local community. French philosophers Sartre Simone de Beauvoir spent five days in Lithuania in the summer of 1965. Their trip was recorded by 26 year-old photographer Sutkus. "Thanks to Mayor Jasaitis, Sartre has come back to Nida where together with Beauvoir they opened a window between Lithuania of that time and France," the French ambassador told BNS Lithuania. The authorities of the Curonian Spit municipality of Neringa expect the sculpture to become a pole of attraction for French tourists. However, some criticize the decision to commemorate the visit, which was used by Soviet authorities for propaganda purposes.